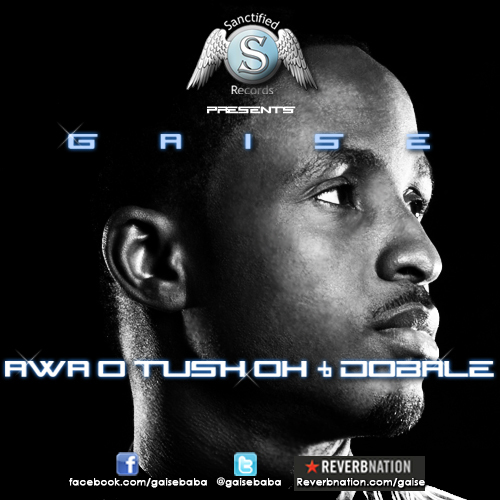 PRAIZHOUSE: GAISE DEBUTS TWO MASSIVE NEW SINGLES - "AWA O TUSH OH & "DOBALE"
GAISE DEBUTS TWO MASSIVE NEW SINGLES - "AWA O TUSH OH & "DOBALE"
Following from the release of his DJ Tee-directed music video for “Movie Song” back in March, award-winning Afrofusion singer, songwriter and artist GAISE returns with two massive brand new singles titled “Awa O Tush Oh” and “Dobale” for our listening pleasure. Excellently produced by Olaitan Dada of Natialo Productions, “Awa O Tush Oh” is an enthralling Afrofusion record laced with lush drum patterns, synth-heavy keyboards and a heavy bassline over which Gaise shows exactly why he is one of the bests indigenous Nigerian artists in recent times as he rides the stirring backdrop - in Yoruba and in Pidgin English - with a striking lyrical showing and a commanding flow. On “Dobale”, Gaise takes it a little slower on the mid-tempo feel good opus which is largely backed by percussion drums and slow building keyboard arrangements as he shows off more of his enthralling and captivating vocal abilities on this sweet, melodious and rather poignant and life-affirming record, produced by QBittz. All thumbs up. I like that he has such a distinctive sound.